"But then we remember how important this joy is. Joy is such a key part of resilience - their laughter during Jigga Ja, their clapping during Baby shark, their giggles and hugs and jumping and high fives all speaks to just how strong and resilient these children are. In circumstances where so many of us would give up, they still find reasons to smile, and after childhoods that have not been childhoods at all, they still find the strength to share. Each and every one of them is inspiring. And that is what LitCamps and LitClubs provide - a sanctuary and joy for every child, and the opportunity to be the child they should be able to be." 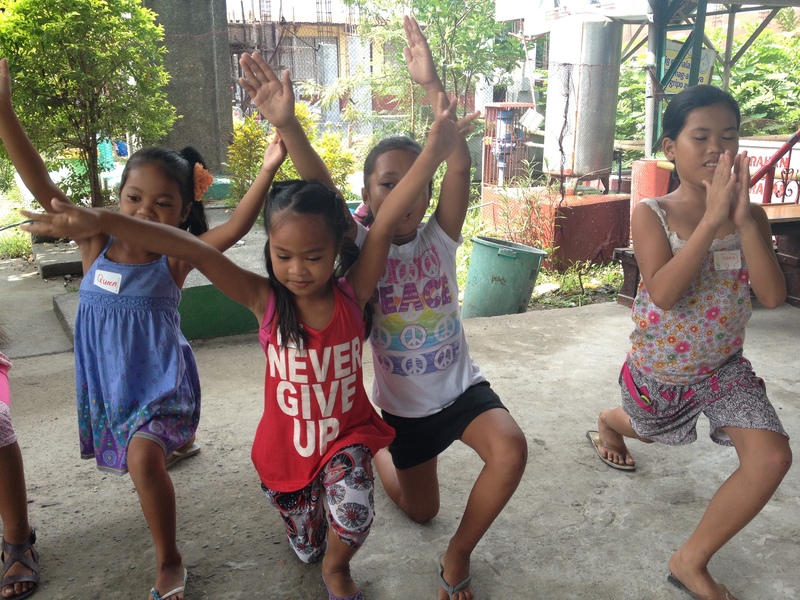 Click here for photo highlights of the Philippines LitCamp, and follow the links below to read the LitCamp team's daily dispatches from the field. 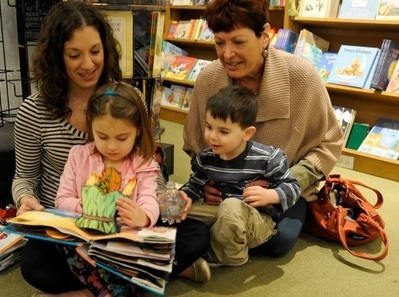 Summer is a wonderful time to reinforce a family culture of storytelling and story sharing. We were thrilled (but not surprised) that in their quest to find ways to make families work more effectively, researchers at Emory University concluded that "the single most important thing you can do for your family may be the simplest of all: develop a strong family narrative." Stories build resilience and give us sustenance and comfort in challenging times. Besides that, collecting stories is joyful and fun and connects us all to one another. Here are 10 ways to build your family narrative. This is a wonderful opportunity to discuss what you value as a family. Make your children’s opinions and ideas central in this exercise. After crafting a succinct statement, decide together where you will record the mission statement, where you will display it, and how you will translate the ideas into concrete action. We define literacy as reading, writing, speaking and listening. Conducting interviews in a relaxed and comfortable setting is a great way to boost speaking and listening skills. Seek out family memories and stories from your relatives – grandparents, great aunts, cousins, and even the family pet might have a secret to reveal! Have your child brainstorm interesting questions and decide how you will record the interviewee’s answers. We recommend publishing the interviews to keep as a memento and to demonstrate the importance of putting individual stories on record. Daily read alouds are one of the most powerful and precious gifts you and your children can give to each other. Vary the material that you read aloud to expose your children to a wide genre of text, from newspaper articles to poetry to picture books to graphic novels. A fun way to gather read aloud material is to go on library scavenger hunts. Make a list of topics of interest to your family that you want to learn more about and hunt for books that will satisfy your curiosities. Our teen LitClub sessions always begin with a short check-in activity called “Rose, Bud, and Thorn.” Everyone takes a turn sharing a rose (something positive that happened during the week) a thorn (something that was frustrating or challenging) and a bud (a goal or something to look forward to in the future). This activity is a quick way to gain important insights into your child’s life, and is an opportunity for them to hear more about your own goals, and to hear how you overcome your challenges. Keeping track of the sights, sounds, photos, books and songs that inspire and delight your family members is a wonderful way to encourage curious world explorers. Keep the notebook in a place that is easy for everyone to access and emphasize that all forms of expression and documentation are welcome. Drawings, quotes, poems, and longer written reflections will make your notebook a one-of-a-kind piece of art. Visual literacy and close reading pictures is critical in a world that is constantly generating and curating digital content. Take advantage of the image-based social media platforms such as Pinterest, Flickr and Instagram to document special moments and capture the world from each family member's unique perspective. If you prefer to keep this content offline, compile a photo archive in a scrapbook or on a photo wall. Challenge your children to summarize the significance of each photo with a short, snappy caption. With access to information at our fingertips (and in our pockets thanks to mobile technology!) we are perfectly poised to cultivate global citizens from the earliest age. Shift your child's perspective from local to global by researching what life is like for families around the world. What seems similar about families in another country? What looks different? Why? Try to build real connections and dialogue through Twitter. Short, inquisitive tweets can start a conversation that can transform into virtual friendships and lifelong connections. Find a local organization (use your mission statement as a guide) and volunteer as a family. Remember to debrief regularly about the work you are doing together, and reinforce the positive impact you are creating in the world. Encourage your children to be community leaders by asking them what they would like to change about their community, and make an action plan outlining what it will take to create this change. Expressing gratitude and identifying the things that we are grateful for (however small) foster optimism, compassion and hope. Keep a chart on the wall or the fridge and fun markers and pens that your children can use to document what they love about their family. Keeping this chart in a visible, reachable place that children can easily go to when a thought crosses their mind will make finding and communicating gratitude second nature. Reading aloud is important, but so is independent reading time. However, "independent" does not mean "alone." Set aside time each day to nurture your individual reading lives. You may have a grassy patch in the backyard, or a cozy living room where you can pass half an hour (or longer) in companionable silence. Write short reviews and recommendations for each other after as you finish a book, and don't forget to log these reading in the Scholastic Summer Reading Challenge! As we prepare to head to the airport in just a few hours after a fun filled last day of LitCamp, complete with singing, storytelling, a talent show, and a pool party, I wanted to leave you with the team's collective Roses, Buds, and Thorns for the week. Thorn: Definitely the language barrier. Especially since my group was very set on writing in English. Even when Ate, Dhalia and I made it very clear that Tagalog was completely acceptable, they would still write in English. 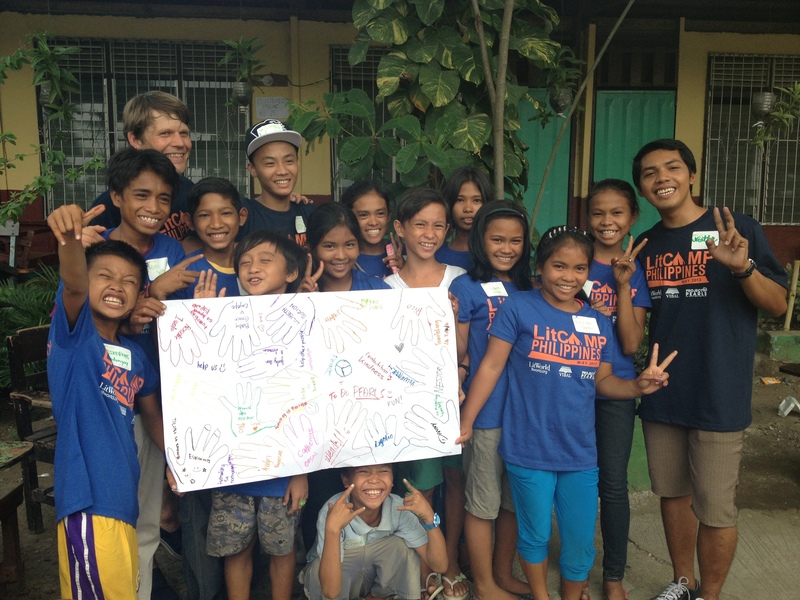 Only when I started speaking more Tagalog did the orange team write in their native language. Rose: This camp was so FUN. The kids definitely had fun, and we had a bunch of fun too. Helping create the opportunity for unadulterated play was very impactful for me, but it's crucial to acknowledge that all of the kids, through their enthusiasm, helpfulness, and willingness (overall awesomeness), collaboratively brought about that outcome. The LitCamp's structure lends itself to getting closer with co-counselors and campers in a very lovely way. That process gets me every time. Bud: This week has been wonderful, and I would love to see how LitCamps function at LitWorld's other Innovation Hubs. Thorn: The hardest part of this trip for me was and is thinking about the conditions the kids return to each and every day. It's hard enough to think about them returning to slums and squatter communities, but it's even harder to think about the home lives and family situations that some of them have to cope with and survive through each and every day. Rose: My rose has been seeing the joy and happiness in the kids faces as we gather for morning meeting, split off into bunk time, share and learn from one another. I love each and every child's own unique personality and style. Andrea, the crazy kid who, despite yelling everything she says can't seem to get enough of each and every activity. Nicole, quiet and sweet and one hundred percent into every song, game and writing activity we do. Paul, the joker of the group who manages to see humor in everything despite still morning the recent loss of his father. They are all amazing and wonderful. Bud: Being able to bring LitClubs to these kids and connect with them on a regular basis. I can't wait. Thorn: The low of my week is definitely leaving the kids. 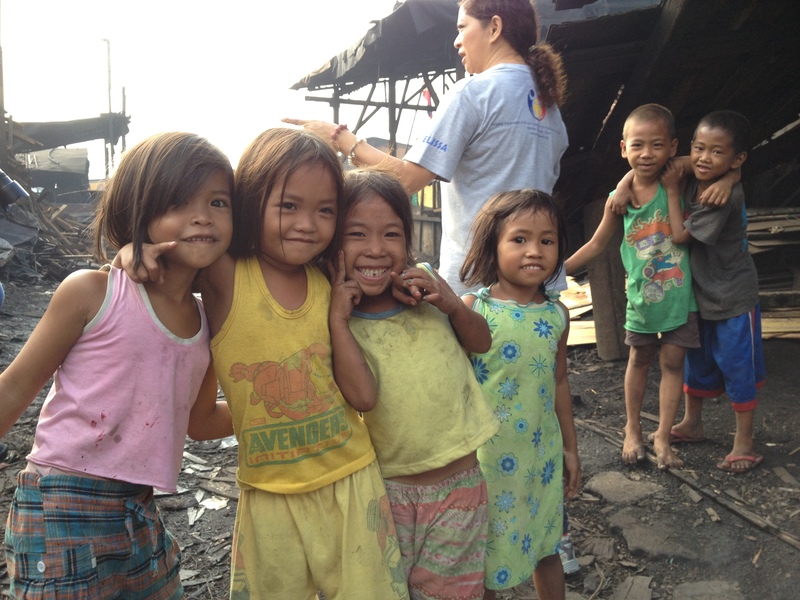 It is so hard knowing that some of them are returning to Ulingan and the unlivable conditions there. I struggle to understand why some families will not be moving to Bulacan, though I don't want to judge them. I just wish all of the children could have a stable, safe, warm, and loving place to live and grown in. It is hard to know that is outside of our control. Rose: Every moment of this week was my rose. From seeing the kids have so much fun and open up more by more every day, to watching the volunteers slowly take the lead, running our favorite activities and feeling confident that the things they have learned this week will continue to impact the community. I have loved each and every second of this week. I feel so grateful for the opportunity to get to know the children, with their unbridled joy and resilience, the moms, with their tenacity and love, and the volunteers, with their commitment and desire to learn. This week is a week I will never forget. Bud: I am so excited to see how LitWorld, Project Pearls and the Vibal Foundation continue to grow together and work to support this incredible community. I think we can and will continue to be a resource for Project Pearls in terms of our experience and helping them navigate and determine how to play the most robust and supportive role possible in these families' lives. Thorn and Rose: Becoming so close to Bebe and Ludy these past couple of days is both my rose and my thorn. After only five days, I already feel a deep sense of commitment and responsibility to them and to their children. 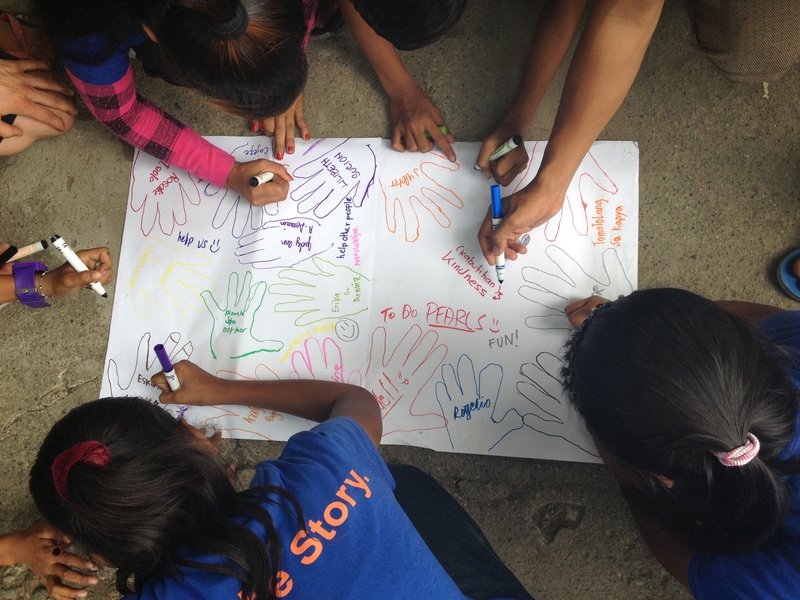 For one week, we teamed up in order to care for the youngest group of kids. Now, to leave them in the dust with this huge responsibility seems unfair. This was extremely clear in Bulacan when Mae off-handedly suggested I take Queen with me back to the United States while I had her in my arms. Bud: My bud is knowing that I have the power to maintain some sort of connection with them and have a lasting impact. As we sat eating dinner tonight in the Korean Restaurant I glanced down the aisle toward the door and spotted a chubby kid playing on a tablet, immediately I pictured 'our' children in Ulingan and wondered what they might be doing at that very moment. I felt a sudden sadness and realised that life can never be viewed in the same way, not after this week. Maybe it was the contrast between his rotund shape and the tiny bodies of 'our' children; maybe it was the difference between the wealth he demonstrated with his electronic device and the rags that some of 'our' children would wear to camp? Although these contrast were striking it was a third which brought me out of my lugubrious state and made me smile; an infectious smile that has been passed around camp all week from child to child, child to adult, adult to adult and adult to child; the child in the restaurant wore a frown to go with his tablet and expensive meal, 'our' children have worn a smile all week. A smile that has motivated me when I was exhausted and brought joy to my heart each day. It is difficult to avoid the images in my mind of them living in Ulingan, but their smiles have been so sweet, so loving, so beautiful and so happy that it is these images of their smiling, shining, happy faces contorted with fun as they do "Jiggar Jar," "Baby Shark," or "Crocodile Crocodile," that will remain with me through the next year until we return for LitCamp 2014. Today was our last day of camp at the school in Bulacan. Tomorrow we go to Clearwater Resort to have our last day of camp poolside. The kids have been talking about it since day one and cannot wait. It's been an incredible four days so far. 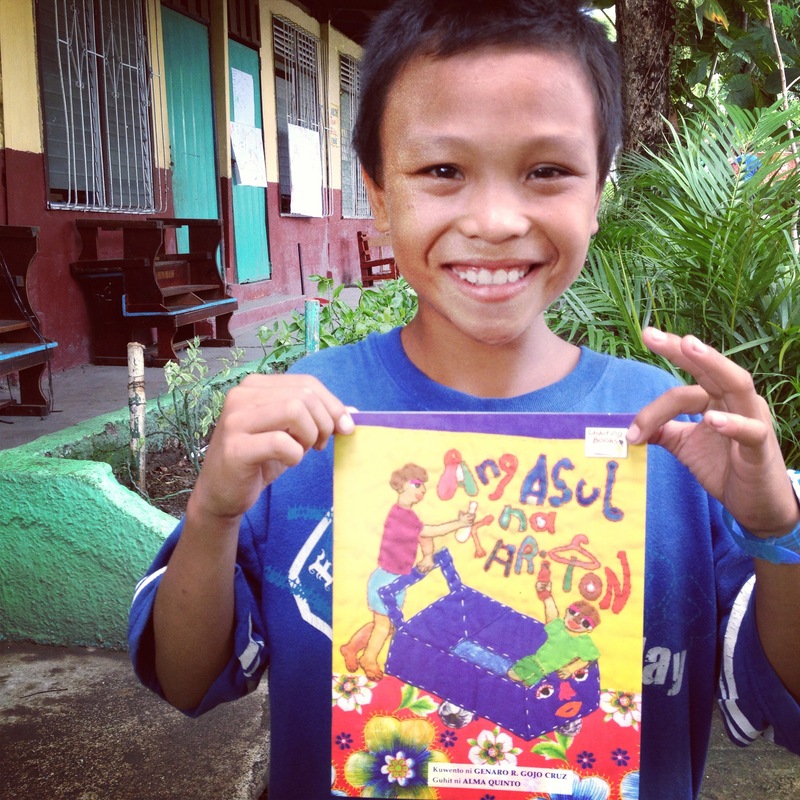 The last time LitWorld traveled to the Philippines we were still discovering the LitClub communities and meeting so many different people. On this trip we all feel grateful to get to spend these action-packed days with these amazing children who are so generous and loving in spite of the unfathomably harsh conditions in which they live. This morning Susannah and I had the opportunity to ride the vans to Bulacan to pick up the kids. The new community is in the countryside with fresh air, green fields and space. The community is made up of a long series of row houses made of cinderblock and cement. The houses are bigger with backyards. Some of the houses already have gates and have been painted bright colors. Ate Ludy (pronounced AH-tay, meaning Auntie) shared with Madison that there are many job opportunities for new families moving there, which is comforting to hear. We arrived at camp and after a rousing morning meeting headed into bunk time. For my check-in question with the oldest campers, I asked them about something difficult that happened to them in the past, and what they did about it to change it or make it better. I asked them to write for five minutes and they wrote for even longer and then shared with each other and me. 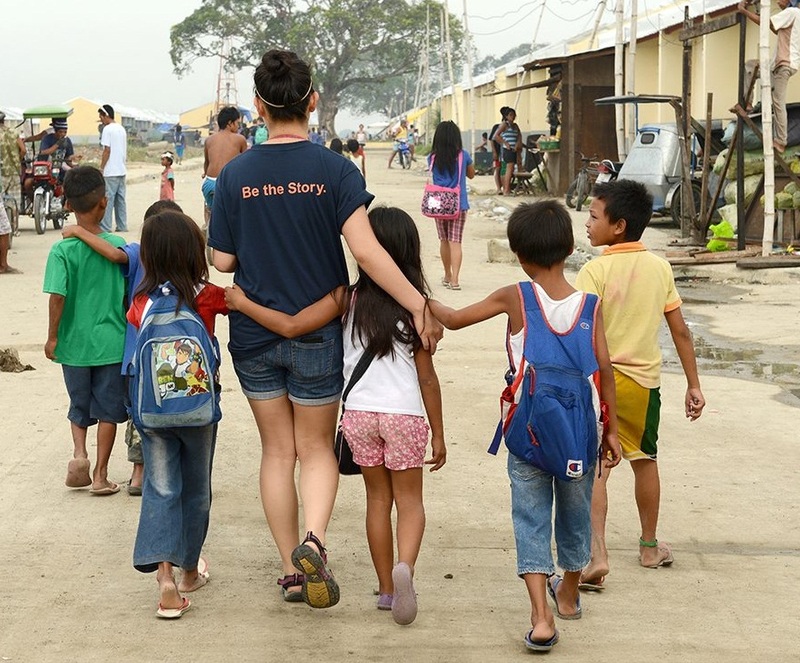 Some kids wrote about being separated from friends now that many families have moved to Bulacan, some kids wrote about the monsoon that wiped out Ulingan in 2012. They said that texting makes it easy to stay in contact, and that God saved their lives during the monsoon. Today's activity was "Welcome to My World" in which the kids are asked to draw out their ideal worlds, thinking about who would be in it, what the rules would be, what things would be in it. Everyone drew houses and gardens and they were all beautiful. In the afternoon, we went into our rotations. I had the older kids for two rotations and it was great to be able to sing Tuwe Tuwe with them, and work with them to write their own team songs. In my time with the different groups, it's been a highlight to watch them work together, and also learn more about them as individuals. We know who are the quiet, thoughtful kids, we know who are the rambunctious jokers, we know who are the kids who like to share with the group and who would prefer to write in their notebooks for ages. It's a true privilege to be able to spend so much quality time with so many sweet, dear kids. Even though it's become more and more impossible to leave them at the end of the day, I can't wait to begin more LitClubs so that we can continue to connect with these kids throughout the year. Three cheers for that! Today's bunk time activity was four square memories, an activity from the LitClub curriculum that asks children to draw and write about their family, their friends, their hobbies, and their dreams in four squares. Every camper was immediately engaged by the prompts, and we all spent a long time immersed in thought, thinking about and describing our lives. Their notebooks have quickly become filled with beautiful stories and pictures, and I have never seen children so enraptured by having the opportunity to write. After writing and drawing, it was time to share. On the first and second day if camp, the kids were excited to share, but still nervous. Some were reluctant to share in front of friends, others about their ability to work through the language barriers. Today any lingering apprehensions disappeared. John shared his dream of becoming a flight attendant. 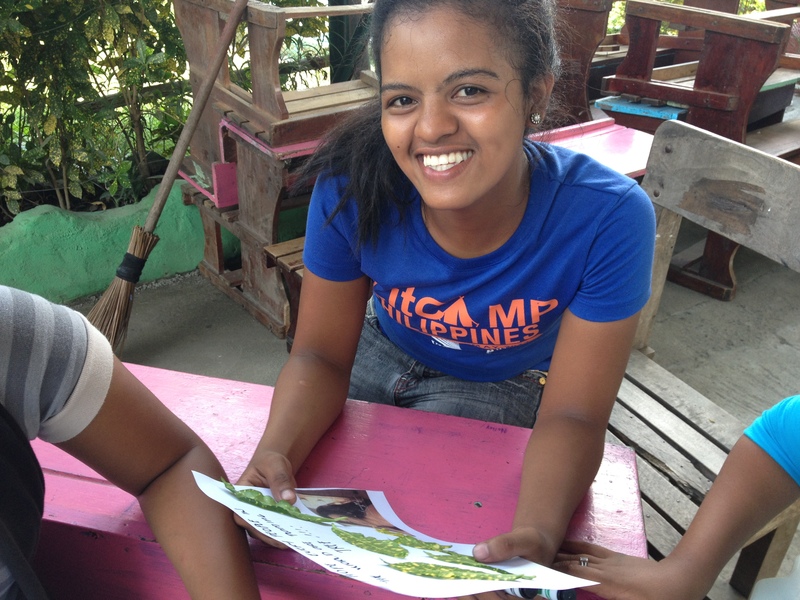 Mica shared that she would like to finish her studies to help her family. Paul shared that he missed his father, who passed away recently, and Hendrix comforted him, sharing with the group what a good man he was. Nani Ludy spoke about her sister passing away, and the joy she has felt taking Queen, a camper, as her daughter. Bong drew his sister as his family and his friend. There are many, many moments of absolute unbridled joy throughout each day, but many moments that cause us to stop in the midst of the excitement and reflect on the realities of the camper's lives. It is hard to understand that at the end of the day, when we return to our hotel, the campers return to the smoke of their homes. It is hard to know at the end of this week, the constant fun that they so absolutely throw themselves into with full force will stop. But then we remember how important this joy is. Joy is such a key part of resilience - their laughter during Jigga Ja, their clapping during Baby Shark, their giggles and hugs and jumping and high fives all speaks to just how strong and resilient these children are. In circumstances where so many of us would give up, they still find reasons to smile, and after childhoods that have not been childhoods at all, they still find the strength to share. Each and every one of them is inspiring. And that is what LitCamps and LitClubs provide - a sanctuary and joy for every child, and the opportunity to be the child they should be able to be. Some moments we won't forget from today are a silent game of sending a pulse around a full LitCamp circle, squeezing each other's hands one by one; Wendell and Nestor, our wonderful PEARLS volunteers, helping the youngest bunk successfully lead a marble across the pavilion through pipes into a cup; Nani Mae teaching us "Oh How Lovely" in Tagalog; the orange team writing their bunk anthem and shouting it across camp; the oldest campers huddled around Yaya in a circle for a read aloud of "A Tale of Two Frogs," their faces inches from the pages. Every day is a wonder with these children, and we are so grateful for the opportunity to share in their joy. Last night our team debriefed at dinner, sharing our roses, buds, and thorns of our first day of LitCamp. 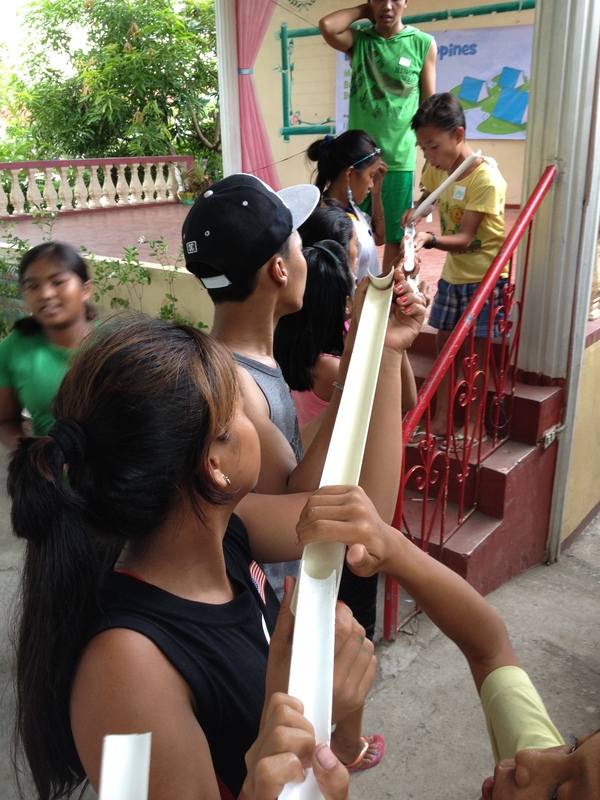 The thorns were brief, and included the language barrier - an obvious hurdle we needed to clear - and the fact that at the end of the day, the children still returned to Ulingan, and we couldn't do anything to change the challenges there. It was good to air our thorns, and process those emotions together. Our roses were many of the moments I shared in yesterday's report: smiling faces, a hilarious round of swim fishy swim, and the way that the children were so filled with enthusiasm and joy at every new activity they were introduced to. Our own conversation was filled with laughter. The buds were perhaps the most enlightening part. 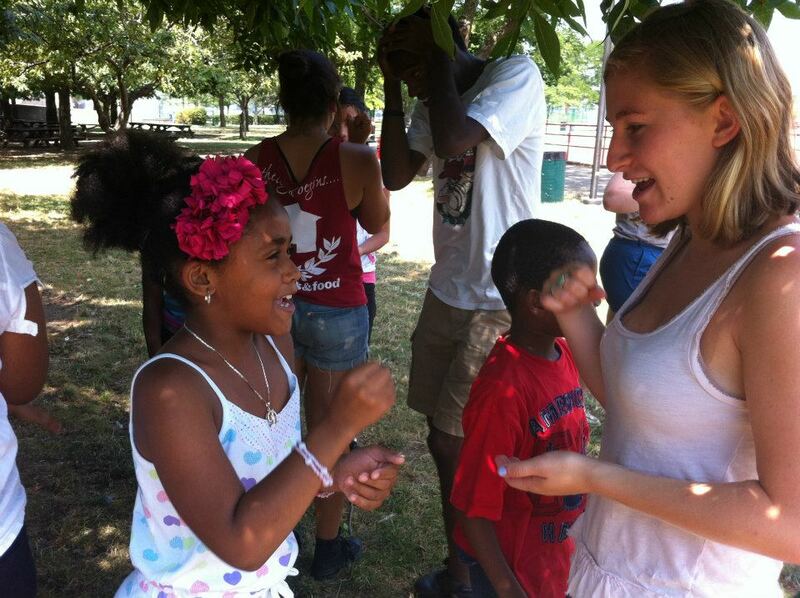 For some of us, it was getting to know the children better, and looking forward to our bonds growing. For others, it was trying out an activity in a new and different way. Each of us felt even more excited for day two. The bud that I shared with the group was a nugget I have picked up from the last two LitCamps I have had the good fortune of leading: you can truly see the fun the children had and the impact you made on day one by the way the children arrive on day two. Day one is a fun and exciting day, but it is also a day filled with "new." New people, new places, new activities, new ideas, new experiences. Day one is a day outside of our comfort zones, before camp becomes our comfort zone. The fun and feel of camp is much clearer when we have all had the chance to reflect. This idea serves as a metaphor for the second day of the LitCamp. Arriving at breakfast and loading up in the van this morning, the team was itching with excitement, prepared with all we learned about each of the campers and the community as a whole on day 1. When we pulled up in Ulingan to pick up the kids, they burst into the van, leaping in to hug us and squeeze in the seats between us, to chatter away to us about their nights and ask us questions about the day to come. Any butterflies or apprehension were replaced by complete excitement, expectation, and comfort as we drove to Bulacan. Little traditions became entrenched over night, and the bunks, like LitCamp itself, have developed their own strong micro-communities. Cheers of "Red!" "Orange!" "Green!" and "Blue!" led all the kids into bunk time. Every camper, from the youngest to the oldest, was engaged making heart maps and raised their hand to share. We moved into some big games, starting with another round if Jigga Ja, with more giggles than before (which did not seem possible) and then played a game of cheering Rock Paper Scissors (where the winner is cheered on by the losing opponent until the entire camp is split into two huge groups cheering for the final competitors). It is always wonderful to see a group of 25 campers cheering madly at the top of their lungs for an 8 year old playing Rock Paper Scissors. We played a variety of relays - hopping on one feet, two feet, ball chasing, and a crab walk. The smiles and laughter let us know that this play is so special. 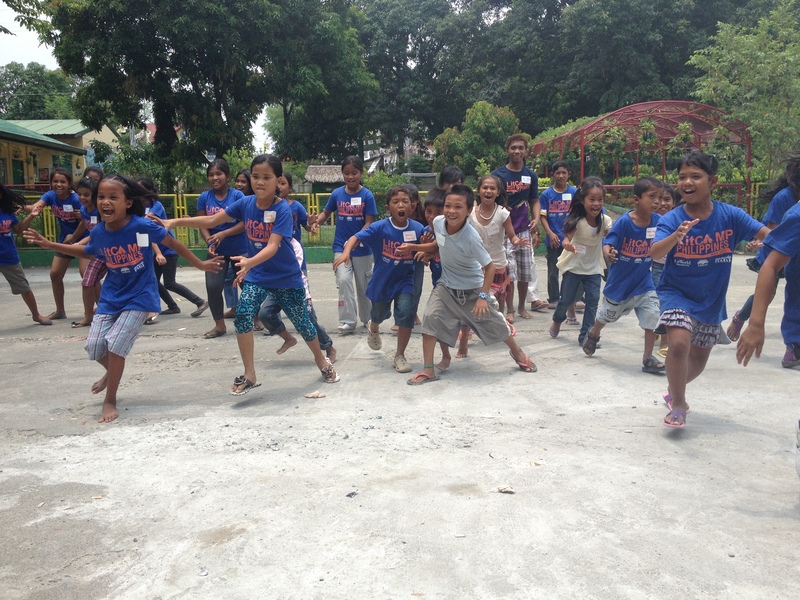 The children simply do not have the space to run and play like that in Ulingan, and you can see on their faces that it means so much to them to let go and be children. After lunch, there was more singing, collage making, animal creating (still hilarious), and team building. Danny challenged the oldest bunk with protecting the last egg of an endangered species (a marble) and returning it to it's nest. He gave each camper a halved piece of PVC pipe and had them work together to make a long long ramp to a cup. While the species did not make it, the campers had so much fun, and learned a lot about working together. 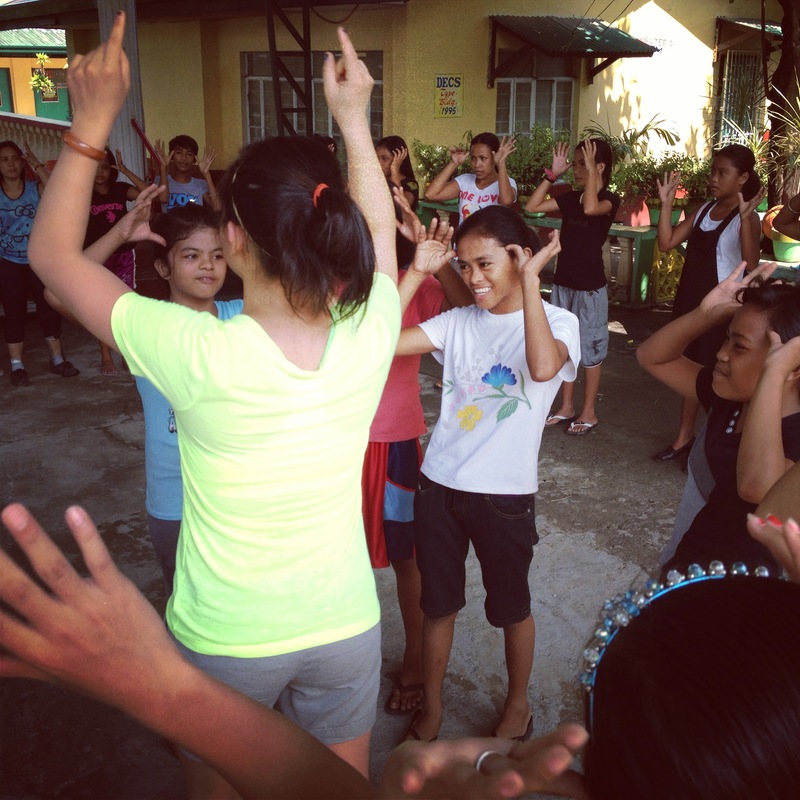 Perhaps the most inspiring part of today was seeing our volunteers from Ulingan shine. Nestor, the preschool teacher; Wendell, the enthusiastic teen volunteer; Dhalia, the social worker and disability activist; Bebe, Ludy, and Mae, moms and "nanis" to the children. Each of them blossomed today, translating more comfortably and leading the activities, participating in every way from hopping in the relays to singing at the top of their lungs and making their own collages. Each of them inspired me today with their joy and their commitment, and the way they give so much to these children despite their own difficult lives. It is clear that this LitCamp will make a deep impact, and that the games we play and songs we sing, the endless amount of times we pick up another and another and another book to read, will be carried back to Bulacan and Ulingan, into homes and schools and daycares. We are all learning so much about just how much joy can fill an 8-year-old, an 11-year-old, a 14-year-old, and we are all - LitWorld, PEARLS, volunteers, teachers, and moms - committed to making sure that joy continues long after the LitCamp ends. Wow. 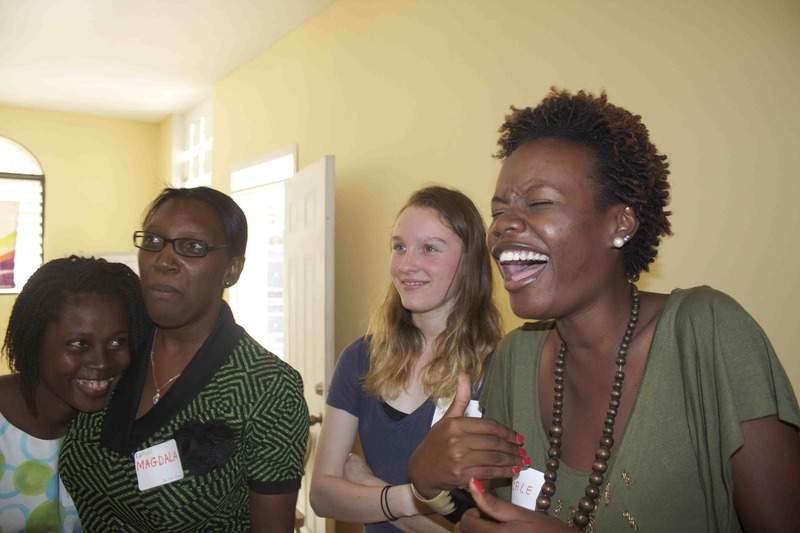 The first day of LitCamp was an intense, exciting, fun, laughter-filled (HOT!) day. We started the morning with a visit to Ulingan. 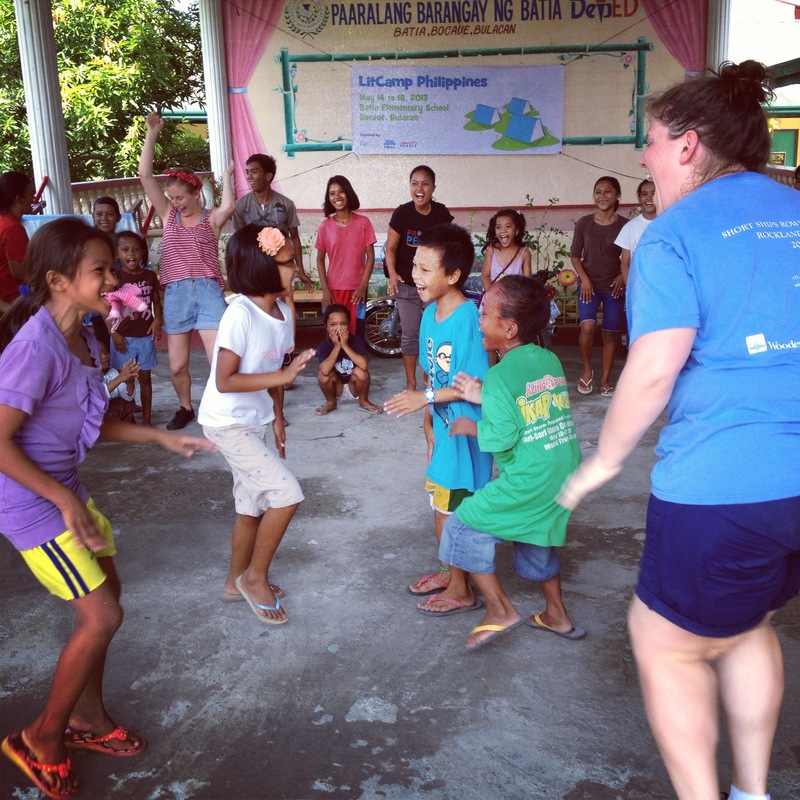 It was incredibly humbling to walk through Ulingan, a community so similar to so many we know. Like Kibera and Port-Au-Prince, steel sheet houses line sewage-filled paths, yet the community is unique with its own challenges (water and smoke from the coal pits where the families earn their livelihoods) and alive with its own culture and personality. It was a stark juxtaposition, seeing children running through smokey corridors and laughing when we could not breathe easily. We walked drenched in children (I felt like a human tree growing children!) and ducking into the homes we passed saying, "Good morning," and "How are you?" It is always eye-opening to see how the simple things we do every day, like make breakfast and see our loved ones out the door, seem familiar in such different circumstances. Everyone we met in Ulingan was warm and generous. From there we loaded up the vans with our team and about 15 children from Ulingan, and headed to our LitCamp site in Bulacan. 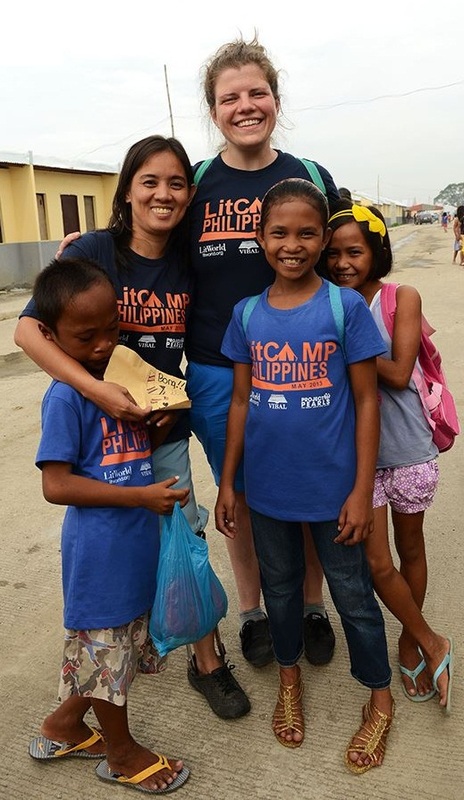 The LitCamp site is the new elementary school that most children will attend when the move to Bulacan is finished and school resumes, so it was a special opportunity for us to help them become familiar and comfortable in their new environment. We were thrilled to find that the school is beautiful. Resource-rich (the classrooms have books!) with a lovely garden, pet guinea pigs, a computer lab, and a wonderful outdoor space for play. 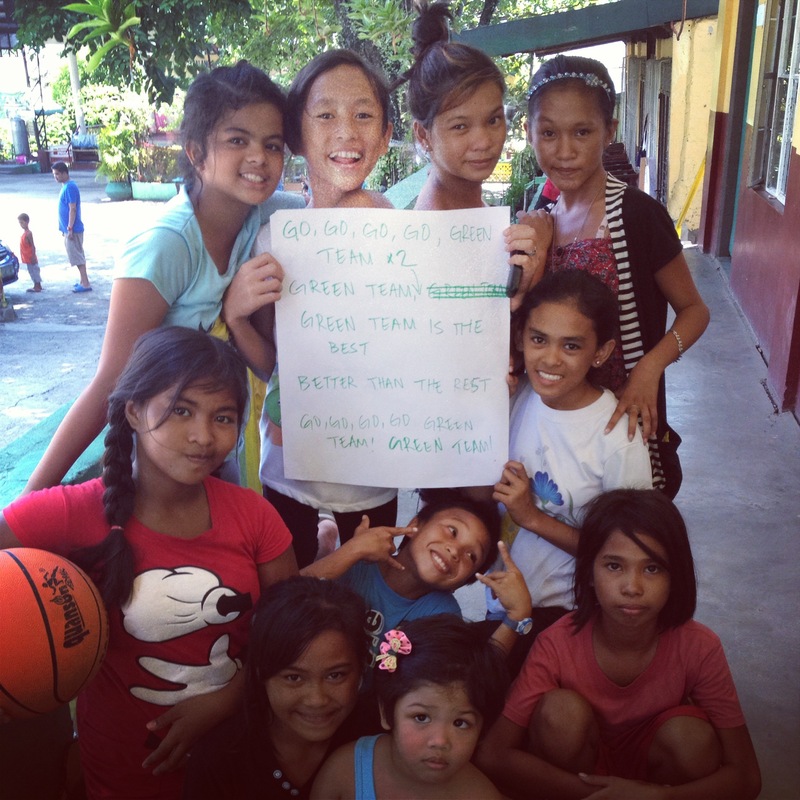 We were joined by another 35 kids from Bulacan, who had already relocated. That meant we had about 50 children - slightly more than expected but a wonderful amount nonetheless! We passed out our LitCamp tshirts and name tags. A little boy appeared at the front gate of the school selling place mats, and after buying a few, Eliza invited him to join the camp. He beamed with pride receiving his name tag and had so much fun all day. We all came together to start the day with a morning meeting and a rousing rendition of the "Hokey Pokey," a rainstorm led by Susannah, stretches led by Danny, and "Oh How Lovely" led by Yaya. Then the kids split into bunks by age for their bunk-time activities, which included the Hello song, a check-in question, a hand circle, a read aloud, and beautiful journal decorating. 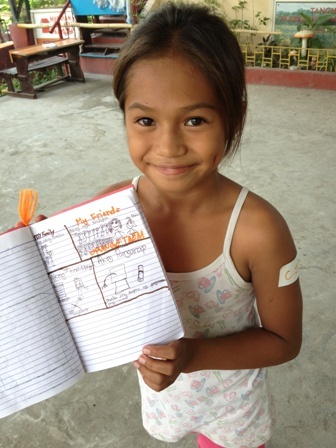 They took so much pride in personalizing their notebooks and proudly displayed their hand circles for all to see. Next we played some big games as a group, with a round of Jigga Ja, a silly dance of African origins, The West Wind Blows, and a very fun game of Swim Fishy Swim! After lunch, we again split into bunks for rotations. Yaya led two periods of singing favorite camp songs, and some new Tagalog songs with help from some wonderful moms and our LitClub leader Karen! Danny led team-building initiatives, and fun games like Duck Duck Goose. I am not sure I have ever seen a group of kids have more fun playing Duck Duck Goose in my life! Eliza led a wonderful activity on improving our communities and her groups made beautiful collages displaying their ideas. Susannah's rotations designed their own funky animals and gave them new species names and personalities. The kids were in hysterics over this. We closed the day with a book donation from Vibal Publishing. 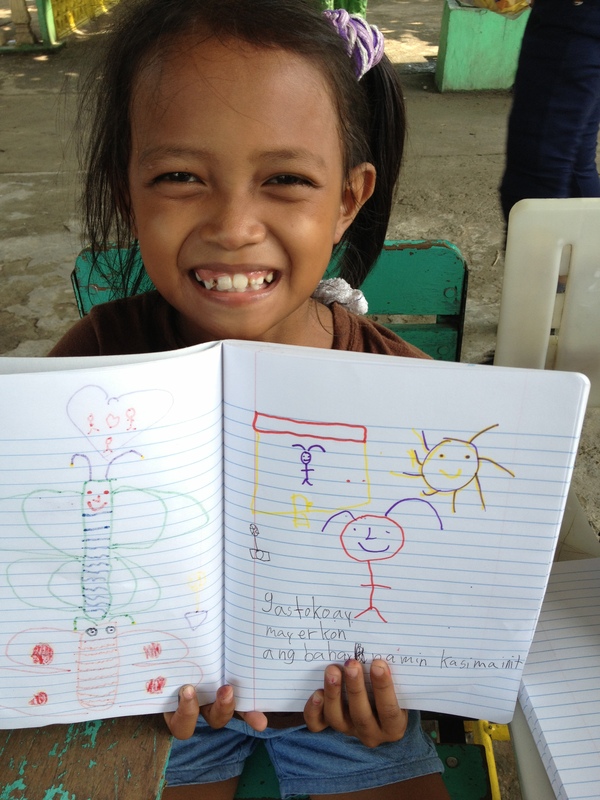 Every book was written in Tagalog and many of the children sat right down and started reading. Despite the fact that the day was hot and sweaty, and we were a new group coming together for the first time, you could already feel the community in a tangible way by the end of the day. Hugs abounded, giggles were everywhere, and new friendships were made. We can't wait for tomorrow and the second day of LitCamp! We are off to an amazing start so far, and it promises to only get better from here! After a long flight yesterday, we woke up refreshed and excited to hit the ground running. 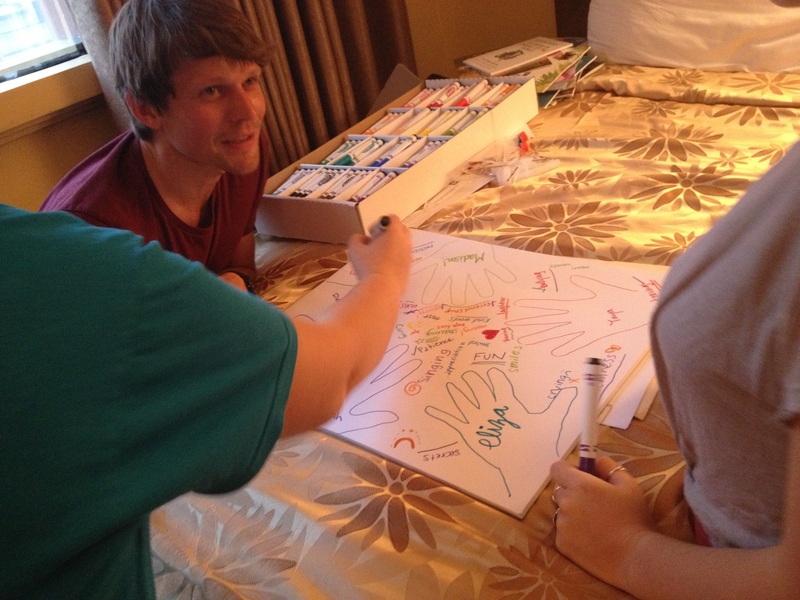 We had a team meeting at the hotel to go over the LitClub activities we will be using during "bunk time" (bunks are small groups of campers that rotate through the daily activity schedule together) including the heart map, the hand circle, journal decorating and a variety of songs. Next each team member shared the special rotation activity that they will lead. Danny is doing cool team-building, physical challenge activities, Eliza is running a found art project, Susannah is leading a create your own animal/exquisite corpse project, and I (Yaya) am running a song workshop. After we were done prepping, we met up with our volunteer team to run them through the LitCamp structure. Our volunteers include Peachy, our Regional Coordinator, Karen and Wendell, and our LitClub Leaders, Bhebhe, Dahlia, Project PEARLS' Disabilities Advocate, Nestor, the pre-school teacher for Project PEARLS, and Tom, a chef who retired from America and moved to the Philippines to volunteer with PEARLS. They are a wonderful group who are ready to make the LitCamp outrageously fun and joyful for the children! We had lunch together and then went through a LitClub activity doing Bullfrog and the Heart Map. We also got some very useful advice from them on how to structure our workshops so that the kids would get the most out of it. Happily, we met up with Melissa, Founder of PEARLS, after the training and all of us, the LitWorld crew and volunteers, walked together to the national park nearby. It was really fun to get to know everyone and chat more with Melissa. We found out that about 300 families in the LitClub community have moved to Bulacan, and about 100 have elected to stay behind in Ulingan, including Bhebhe and her family. The families that have chosen to stay behind are worried about what they will do for work if they leave Ulingan. There are no coal factories allowed in Bulacan, so the families that choose to move there must also find a new way to earn money. Some have started small food stands, some of them are selling dried fish, and some of them are still trying to figure out what they will do. Melissa and her board are working hard to implement new livelihood plans for the families, including one which would bring environmentally friendly coal furnaces to Bulacan. They create no smoke and use coconut husks for the raw materials. 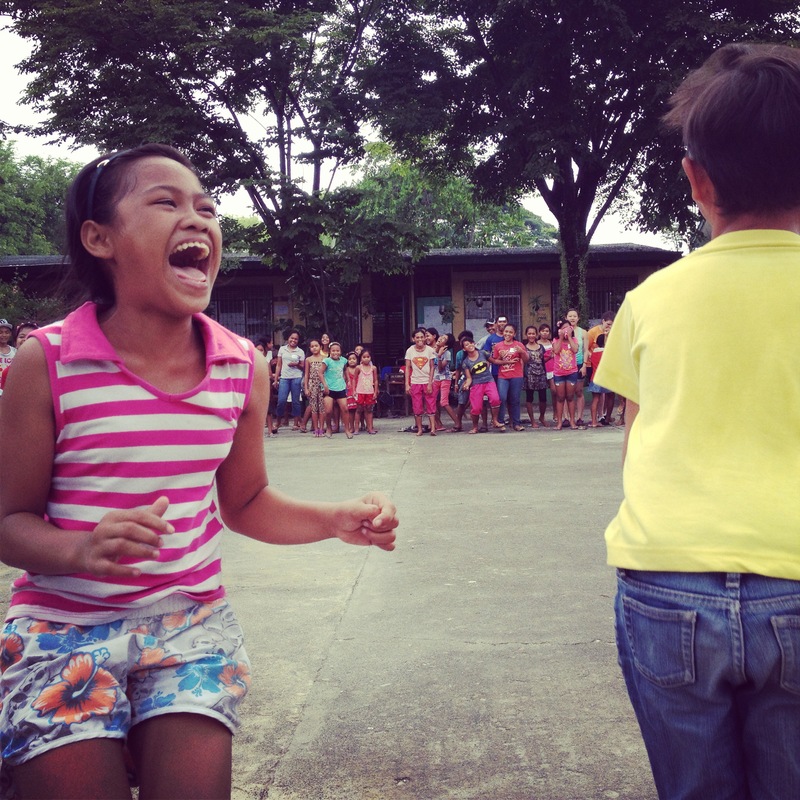 We are going to Ulingan tomorrow so that we can see where the kids have moved from and get a sense of what their transition must feel like, and then off to Bulacan for our first day of camp! We have a huge suitcase of notebooks, markers, glue, scissors, books, construction paper, frisbees, juggling balls, and all the other makings of a successful LitCamp. It's going to be an absolutely magical time! 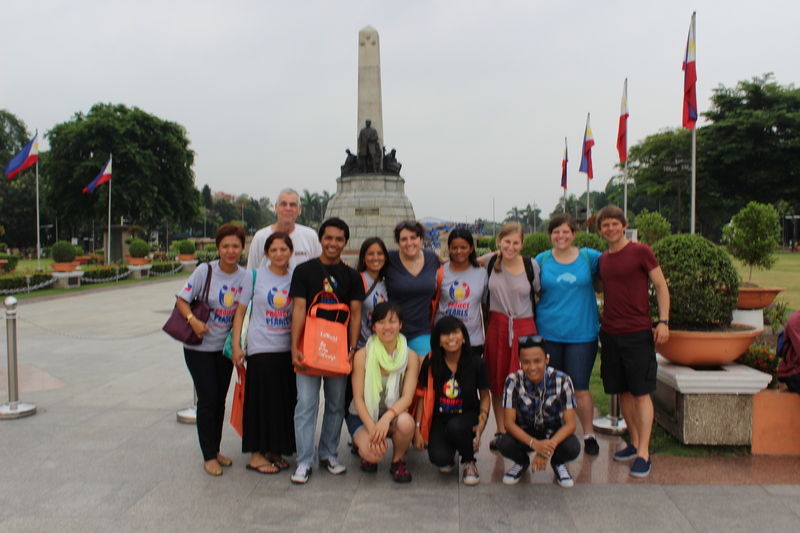 Meet the Philippines LitCamp Leadership Team! Our inaugral Philippines LitCamp launches next week at the LitWorld Innovation Hub in Manila, the Philippines. 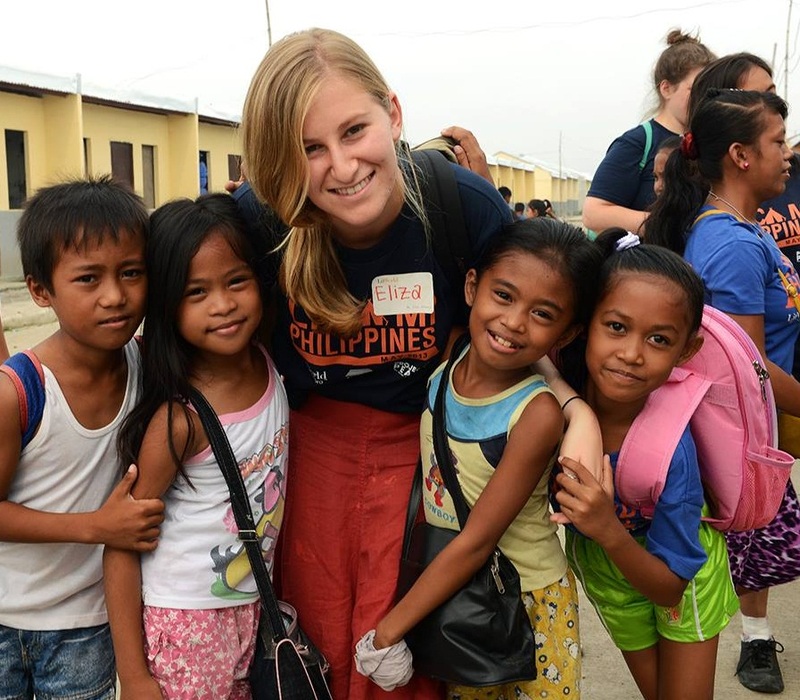 Our Global Community Builder, Madison Graboyes, and our Innovation Developer, Yaya Yuan, have carefully built a dynamic leadership team and we are thrilled to introduce these individuals who will create a vibrant and transformational literacy experience for the children of the Bulacan community. Eliza is a Spanish/Women's and Gender Studies major at Kenyon College in Gambier, Ohio and is a former LitWorld summer intern. 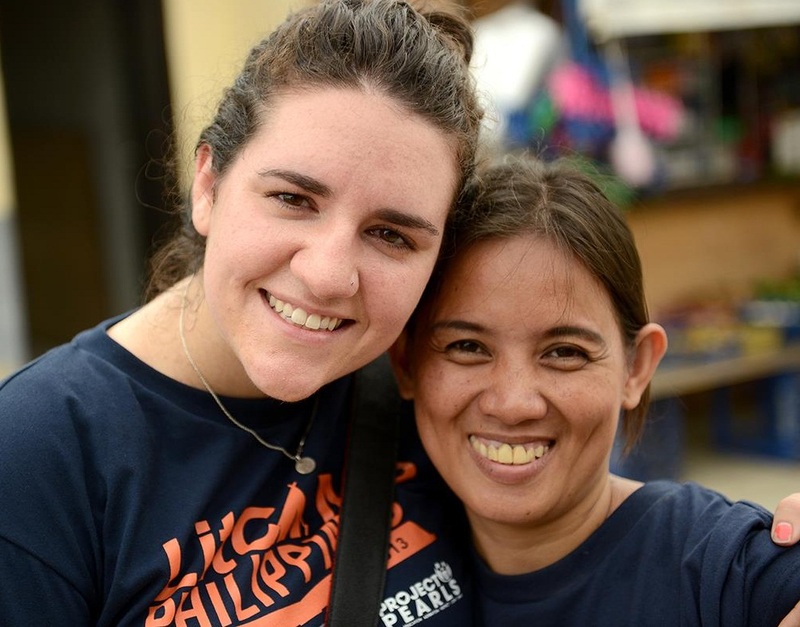 In 2012 she worked at the Broadway Housing Communities LitCamp in Harlem, and this year she was integral in training the volunteers of Otra Cosa in Huanchaco, Peru to launch their own Girls LitClub. She is thrilled to be part of the LitCamp team and cannot wait to see firsthand some of the work that LitWorld does abroad. Danny is joining our team from the United Kingdom! 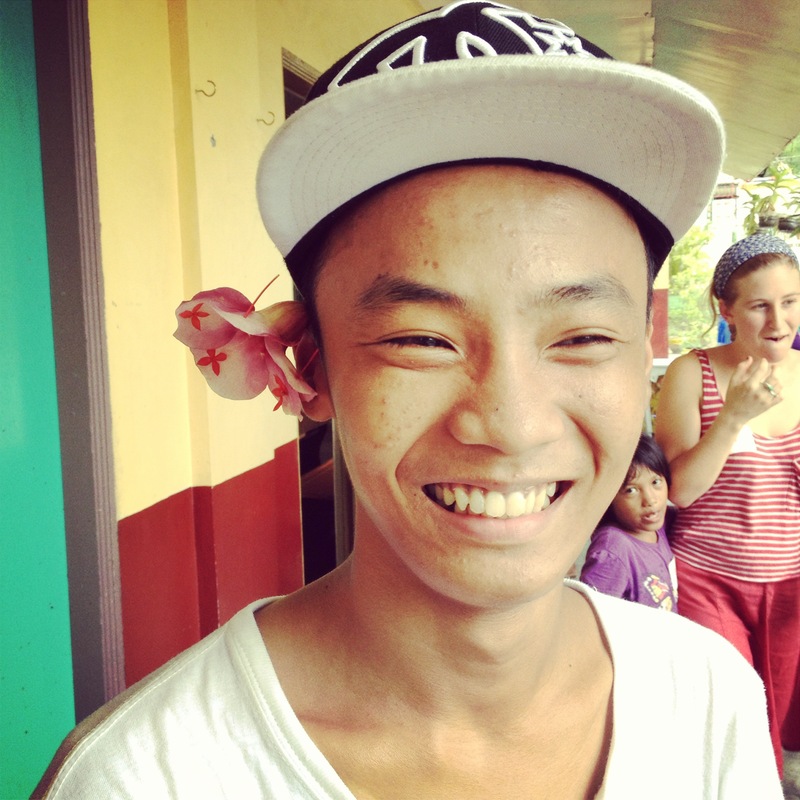 He has been working with children around the globe for 15 years and is thrilled to be a part of LitCamp Philippines. 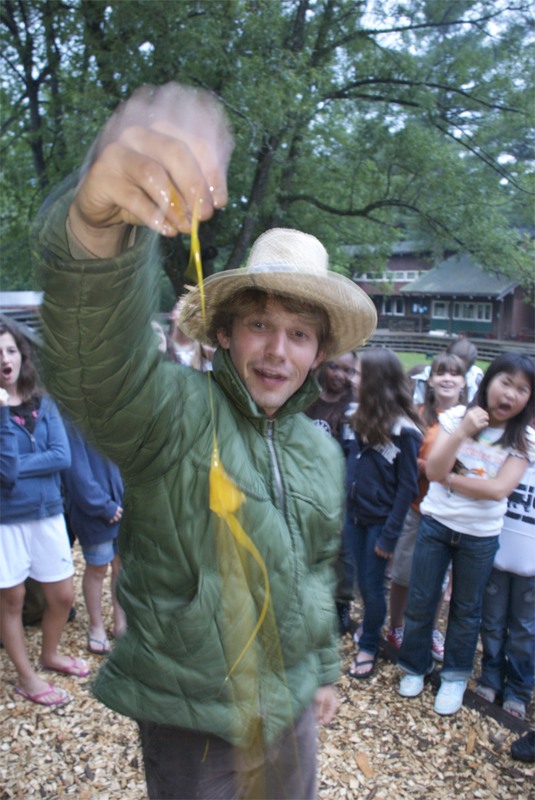 An Outdoor Education graduate, Danny spent 10 years working at a US summer camp and currently works on community engagement projects with teenagers and nature engagement projects with young children in his hometown of Liverpool. Danny loves to swim, cycle, run, climb and hike, but when he’s in a more passive mood an acoustic guitar or a good book are sure to keep him happy. Jeannie Blaustein is a founding member of the LitWorld Board of Directors, a current member of the LitWorld Advisory Council, longtime friend, supporter, and inspiration. A graduate from Brown University with Honors in history; she received an MA in history from NYU, and then shifted her studies to pursue a doctorate in Clinical Psychology, and and a Doctorate of Ministry from Hebrew Union College-Jewish Institute of Religion. 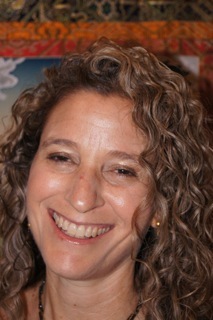 A licensed clinical psychologist, Jeannie worked in the Barnard College Counseling Service for several years, and has served as an Adjunct Supervisor to City College’s Doctoral Program in Clinical Psychology and to rabbinic students at HUC- JIR. What drew you to LitWorld? Pam. Well, that's not quite a complete answer, let me elaborate. There are great organizations out there, but Pam's vision for education is vibrant, compelling, and uncomplicated. LitWorld's message, that the power of story, specifically the power of one's own story, is the gateway to literacy, is organic, accessible, and relevant for everyone. LitWorld's approach is innovative, dynamic, well-rounded, and do-able. Pam's vision for global literacy as a universal right touches people in intimate and personal ways which enables kids and adults to get in touch with the power of story and the power of reading to change their lives. Can you share a special reading memory, or a time when reading felt powerful to you? When I was young my mother would read Mary Poppins to me. My sister and I would play the flying angel game; my sister would lie on her back with her feet on my belly, and I would "fly" over her on her feet. As I "flew" and looked down behind her headboard, I could see all of the characters from Mary Poppins coming to life behind her bed. It sounds so silly, but I was convinced that the story was real! All happening right behind my sister's bed. Of course I look back on this moment and see the metaphor woven in, stories and reading really do open your mind to what is possible beyond your own life. It creates the possibility for new realities. I am a big believer that you have to dream, that the secret of success really is about possibility. You have to have a North Star to follow in order to achieve any goal. That's what reading can do, it can open your mind. It's the ticket upward, inward, or outward, whichever way your dream may lie. What excites you about LitWorld's work? I love the Girls LitClubs. I love this idea that connecting education with empowerment, self worth, community, and possibility, will create vibrant, literate, young women. I've seen the way the clubs build a greater sense of self in the girls and a greater sense of pride in their communities. The clubs have found a way to fill a missing piece in the global education community. They're not hard, they're not expensive, but they work. How do you describe LitWorld to other people? LitWorld is a terrific young literacy organization founded by a dear, brilliant and visionary friend of mine, Pam Allyn. The message is elegant and simple: Literacy is THE ticket out of poverty and hopelessness. Pam recognizes that everyone has a story to tell. When honored and mentored, that story can be the launching pad to strong and personal longings toward writing and reading, and from telling one's own story, we see over and over again that literacy emerges organically in even the most remote and impoverished communities. 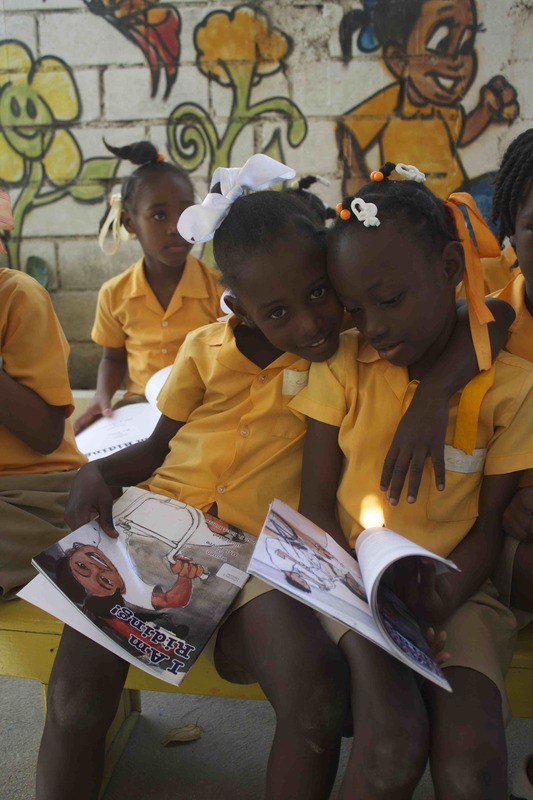 LitWorld has established Girls LitClubs - like little reading hubs for girls - all over the world, from Harlem to the Philippines! Girls hike barefoot through rough rural villages, take boats, walk through slums to get to these little oases of community, sanctuaries of support and possibility. 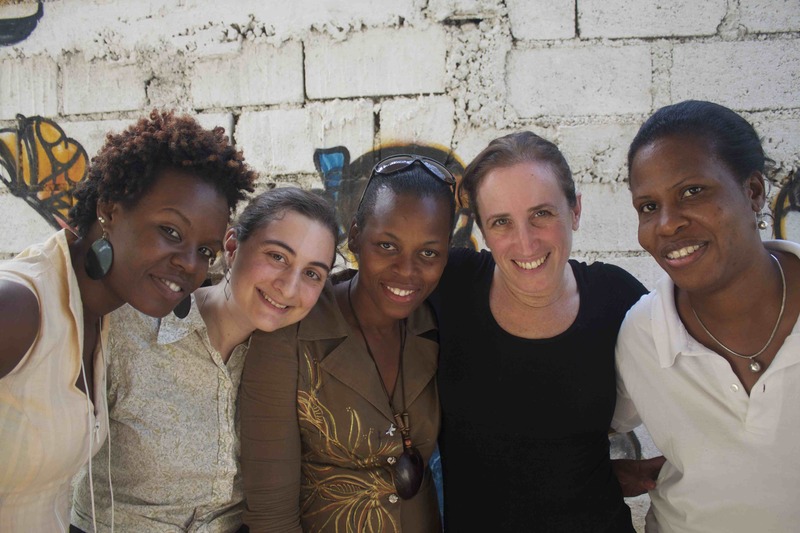 LitWorld's Executive Director, Pam Allyn, and Creative Director, Dorothy Lee, are visiting LitWorld's Innovation Hub in Port-au-Prince, Haiti. Dorothy is keeping the LitWorld community updated and connected to the work happening in Haiti with daily reports from the field. "Another big day here in Haiti. 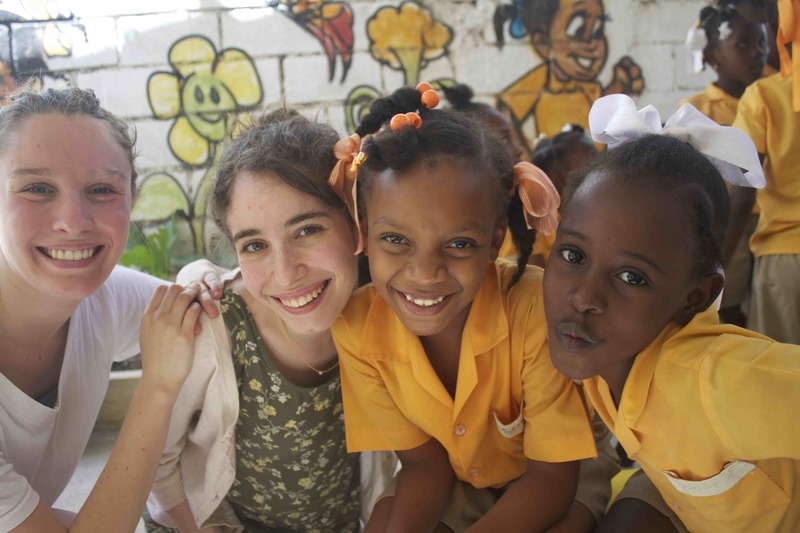 We visited the Children of Haiti Project school, run by the incredible Dominique. We toured around, met the darling, smart children in the morning program there, and saw their beautiful classrooms and cozy library. We then all met together to talk over everyone's hopes and dreams for the work we can collaborate on to build a better future for Haiti's youth. We talked about the importance of always thinking about the overarching goals, the big, yet specific, goals for 2-3 years from now, and the concrete next steps to take in the next 1-3 months. Dominique invited us to join the children for their delicious nutritious lunch of rice and beans with stewed okra and onions, on the rooftop of the school, which serves as classroom and play space as well as the cafeteria. It is shady and breezy with a beautiful view, and the children just love to run around up there. They are just so excited to be in school, in such a beautiful, clean, kind place. After lunch we did a quick read aloud with the One Moore Book donation. 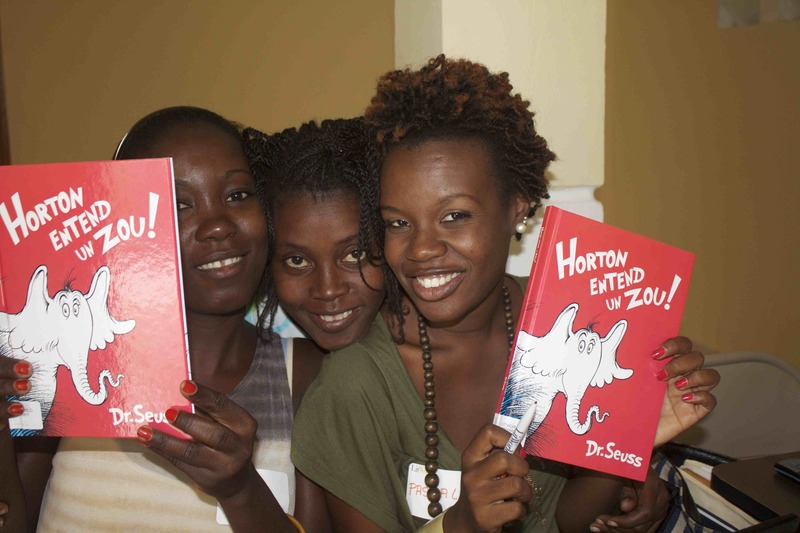 Everyone is so excited when they see that we brought books in Hatian Creole. We let the kids go for the day, and then did community building with some of the COHP teachers, another fun round of the name game and Crapo (Bullfrog, in case you've forgotten your Creole vocab from yesterday!) and a training about reading aloud and the importance of building in reading time regularly in every school day. We paused the training and visited the tent community across the way. We were able to meet Givelove and her mother, who the team met last time as well, and see their impossible home of gravel and tarps, decorated with a calendar hanging on the wall. We also met a little boy, the older brother of one of Dominique's students, who is in the TOYA Saturday LitClub. His family's home is built with some sturdier materials than just tarps, but just barely more, and crowded in with 12,000 other families, their lives, food, waste, stories, all pushed together so closely it's astounding that they can breathe and live, and there they are, loving and dreaming. We came back to the school and Pam ran a training about strategies for running independent reading time with students, which seemed very helpful to the group. Upstairs, the afternoon students were having classes, and we joined them for a LitClub session of singing and reading aloud together. It was a very full day. Many conversations to process further, ideas to pull apart and build up as we work together and move into our next phase of work in this place that is so ready for LitWorld to do it up big." 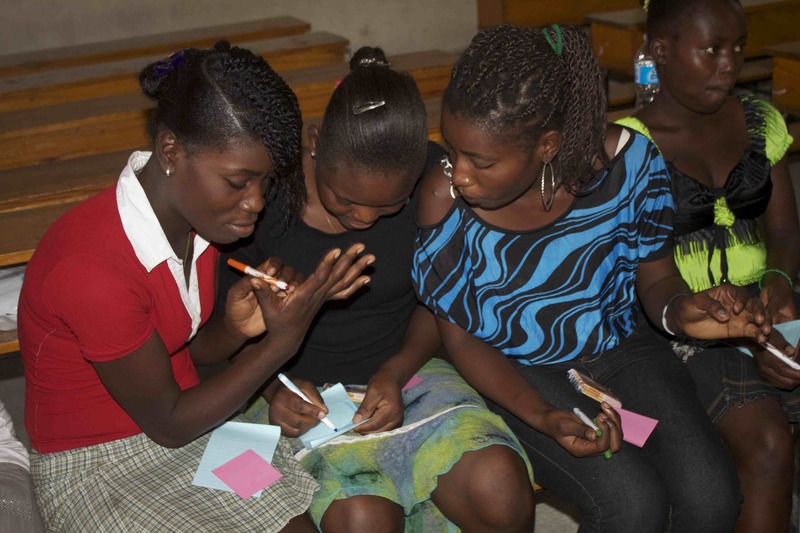 "We had a wonderful second day here in Port au Prince. Today was focused on our engaging, dedicated, loving TOYA LitClub Leaders. We visited the beautiful Hub space and met with a carpenter who has been working with Nadine to draw up plans for furniture, from sectioned desks for the cyber cafe area, to bookshelves for the library area, and talk with him about the optimal sizes and placement. We then gathered together with the TOYA women who are running LitClubs, as well as our inspirational interpreter Peterson, and our dear and wise driver Armand, and did a refresher training on the different aspects of the LitClubs, from singing, to affirmations, to community building, and reading aloud. One of the highlights was surely a rousing round of Mingle Mingle, during which we got into some heated chants about all manner of topics. And our version of Bullfrog, which translates to Hatian Creole as Crapo, turned into a full-on dance party as we sang "Balanse a dwat a goch, dwat a goch, dwat a goch, balanse a dwat a goch, dwat a goch, ki sa?" The women shared moving responses to the prompt "Think of an important memory you have," browsed the French and Creole picture books, and we had a delicious lunch, brought over by Maria, the inspiring HIV positive woman who we must connect with the Power Women in Kibera. In the late afternoon, we visited a LitClub made up of teens who have just had a few years of school because of their very hard lives. It was, as with so many, a tough yet entirely tender group. We played a name game to get a bit silly first, and then used a similar prompt to earlier, asking the girls to draw their hearts and then draw or write inside one or two memories that they hold in their hearts. They shared moving stories of hardship and strength, of lives without the family support they deserve. Next, we had them present hopes (espwa) for their LitClub. They would like to become LitClub leaders in the future. Looking forward to Day 3, stay tuned for more updates and highlights!" "I learned the LitWorld girls are very friendly." "Something wonderful that we did in LitWorld Club was when we were writing our challenges discussing and sharing them with one another and getting a solution on how to solve them." I am leaving with a lighter heart knowing that the GOAL program (Girls: Overcoming, Achieving, Leading) is in the works, and that we are not letting these miraculous young people off into the great beyond alone. Today followed a similar pattern to yesterday, but brought a new set of conversations to the forefront. We tried out different sections of the student survey, had a focus group with another group of children, had meetings with the leadership team, and visited the Power Women Moms LitClub. The first meeting with the team was about the surveys, but led into a deep conversation about what success would look like and feel like as children complete 2 years of LitClub. They talked about the children taking on leadership roles in school, showing confidence, taking initiative, thinking outside the box about ways of overcoming their obstacles, being open minded. Things that the children are showing already, that can be strengthened as the program is strengthened. 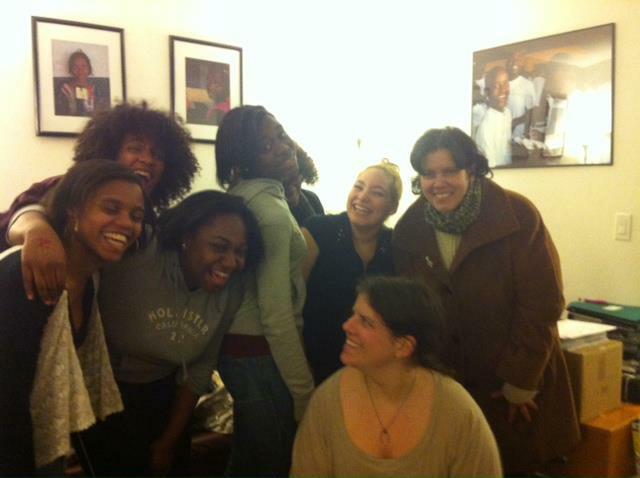 I then had a check-in with the Power Women on how their Moms LitClub is going. They are so enthusiastic about making time to meet regularly each week, and about starting computer lessons. Many of them had never touched a computer before. They didn't know the names of the various parts of a computer before their first lesson at the Hub space. But they are so ready to learn it all. 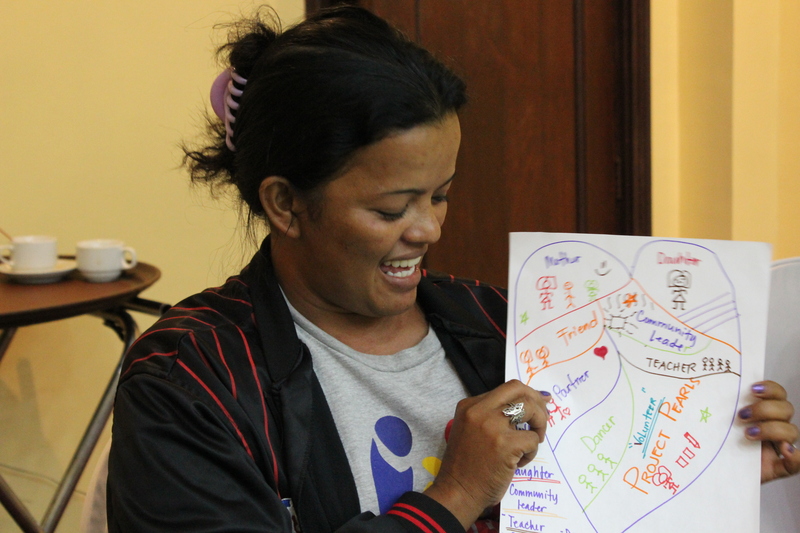 One of the main things they talked about was wanting to share their vast knowledge about their crafts and also about how to avoid HIV and stay healthy and busy and working and strong. They want to mentor girls in the community who are at high risk of having their lives crushed by the harshness around them. Just think about that for a minute. 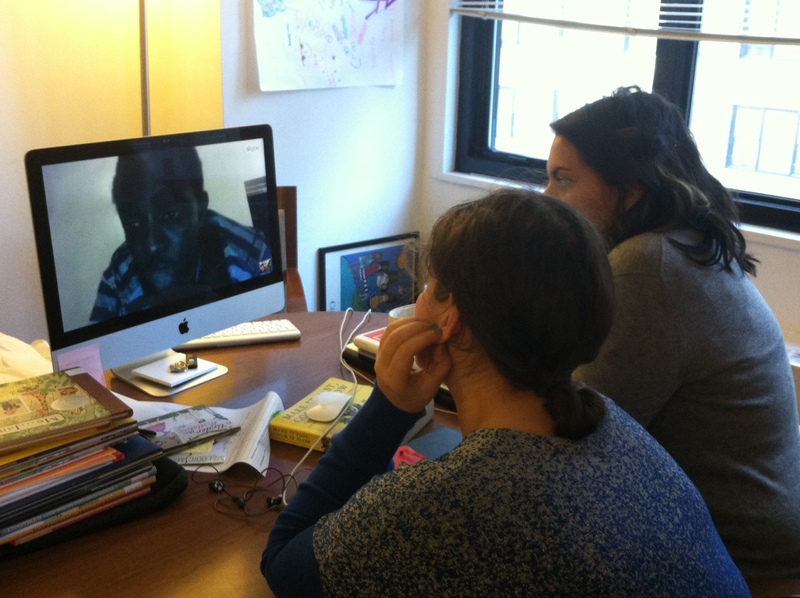 Here we are skyping with Yaya on Jeff's iPhone after the meeting, with great joy. Today was a day of many high fives, lots of singing with the little ones, and seeing first hand just how wonderful our LitWorld leaders here are in their work with the children. It was also a day of trying to coax out difficult conversations, asking, do you have an idea of how could we ask this question more clearly? Which is hard for anyone to answer, but especially a group of sometimes-shy middle-schoolers. I joined our leader Maureen, for a read aloud and writing session with a new group of friends from a nearby school. The read aloud had just the right number of opportunities to make lion noises and claw hands. 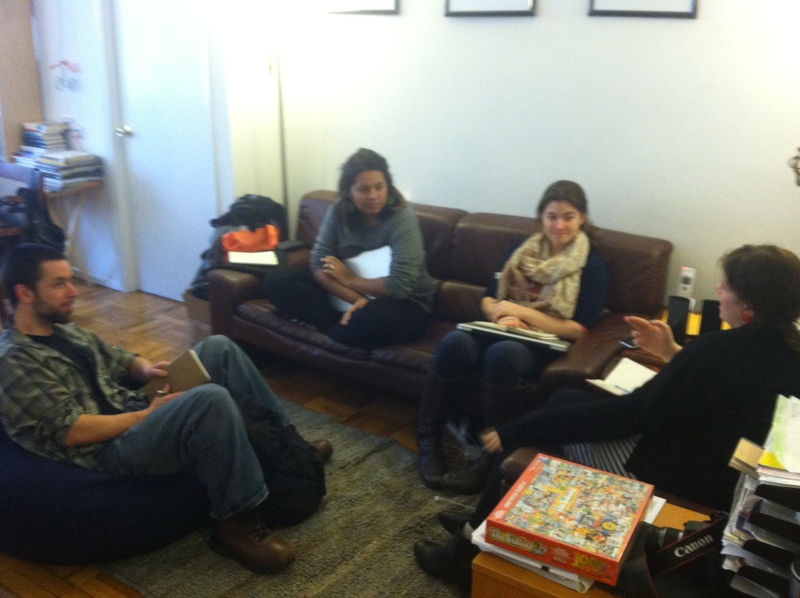 While I was with Maureen, Jen was trying out the student survey with a group of LitClub members. As expected, it was harder to gauge the responses of the children than with the leaders, but it went very well, they pointed us in helpful directions, and had really interesting responses. I also had a very good meeting with our Kibera Regional Coordinator, Jeff. He is very excited about working to develop and pilot our GOAL program (Girls: Overcoming, Leading, Achieving) to support teen LitClub graduates in becoming college and career ready. I think they will be able to offer some more helpful insights tomorrow on what the gaps are that LitWorld can help fill with our unique and thoughtful approach. This evening Jen and I prepared chock-full pencil cases for all of the graduates, to present to them on Saturday, organized our delivery of art supplies, games, and books, so we can replenish and fill out the library tomorrow. I told some of the LitClub girls that we were bringing new books for them and they got so lit up and wanted to know all the details about what kinds of books and how long they are and all those juicy details. Just pure enthusiasm and curiosity. LitWorld's Creative Director, Dorothy Lee, is in Kenya to launch our data collection project alongside our partners The Children of Kibera Foundation (CoKF), Vera Solutions, and Jennifer Estrada. What follows is her first report from the field at LitWorld's Innovation Hub in Kibera, Nairobi, Kenya. We will post Dorothy's reports as they come in over the next few days while she is in Kibera. We got to Children of Kibera early and stopped by the Innovation Hub space. The Earth Bench we built last summer is well worn and loved by the feet of many running and jumping children. The library is in good shape. Maureen, one of our inspiring LitClub Leaders, was in the midst of a read-aloud session with a group of students from a nearby school. They were little dears and she had them captivated. Margot from Vera Solutions and Jen introduced the term "Design Monitoring and Evaluation" and the basic idea of our LitClub data collection project and pilot to the Kibera LitClub Leaders, Jeff, Prisca, Maureen, Geoffrey, Gertrude. They all took the draft of the survey and we had a discussion about the survey questions. I had a couple of moments where that was all I could think to myself: this is awesome. I could feel the project coming into existence around me. They were asking great questions, and bringing such interesting and informative feedback to us, it made me tingle. And then after we wrapped up, we got to immediately take our notes from the meeting and revise the whole survey before we forgot what anyone said, when it was all just fresh and bubbling away in our brains. After we finished our debrief, we joined the Power Women Moms LitClub session for a few songs, a check-in, and lots of hugs. Their new salon is up and running next to their shop, the walls are painted with murals and they have thes most wonderful hair sinks in bright colors. Sending love to you all from all these dear ones here, as well as from myself! Throughout the first three weeks at LitWorld, my fellow interns and I have met a slew of inspiring and captivating affiliates. One after another, the staff introduces us to magnificent people who gracefully share their stories. On Wednesday, Natasha and I had the privilege of meeting Chernor Bah, a member of the LitWorld Board of Directors. As we introduced ourselves on Skype, Chernor asked that we each answer the question “if you could change the world in one way, what would that be?” When his pixelated face told us he would spread the education and empowerment of women and girls, I was hooked. As a teenager growing up in wartime Sierra Leone, Chernor had the idea to collect the stories of his peers, whose voices, unless they were involved in a horrific incident, went unheard. Amazingly, he turned this idea into action by forming the Children’s Forum Network and curating his country’s oral history. He compiled these stories with the hopes of youth voices shaping policy. As he has aged, Chernor has collected stories internationally and pursued similar ends with his dissertation. Chernor possesses a contagious idealism (that can even be transmitted through Skype). Speaking with him, I could understand the delicacy with which he treats youth narratives and how deeply he cherishes them. At the end of our discussion, Chernor offered to answer any question we may have. Natasha asked why he singled out women’s and girls’ education. A self-professed feminist, he explained that while growing up, the strength of the women around him—his mother and two older sisters—always impressed him. However, even though he believed his sisters were smarter than he, they had fewer opportunities to cultivate their intelligence. Witnessing this unfairness inspired him to support education. What I found most impressive about Chernor is his ability to transform his own experience into activism. In the worlds of second-wave feminists, he has truly made the personal political. Despite the difficulty of executing that transition, Chernor makes it appear seamless. His appetite for justice is insatiable: by not accepting the inequities he has confronted, Chernor has made the world more accurately reflect his own ideals. Do not be complacent when you could be compassionate.